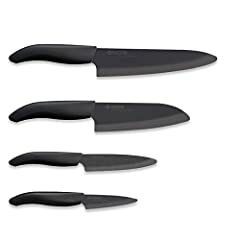 The Kyocera 3-inch ceramic paring knife ( http://amzn.to/2gIELCd ) is an incredible deal. It sells for under $20 and will last you for year and years if you take care of it. 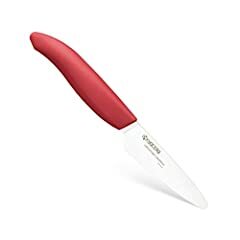 It is a ceramic knife, which means it has many perks but also many downsides. All that said, I would still highly recommend it! Thanks for the long term review. 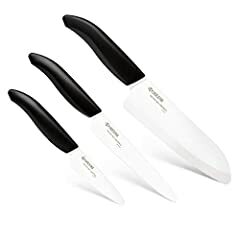 I recently purchased a Kyocera ceramic knife and can’t wait for it to arrive. It’s a bummer you can’t sharpen it yourself, but hopefully it will last long as i will only be using this on soft veggies and such. "So sharp it's silly" Kyocera Ceramic Knife Review and demonstration.